Piperack systems reduce your engineering time, procurement costs, and labor expenses, and they are available in standard widths to 12', and custom widths are available upon request. 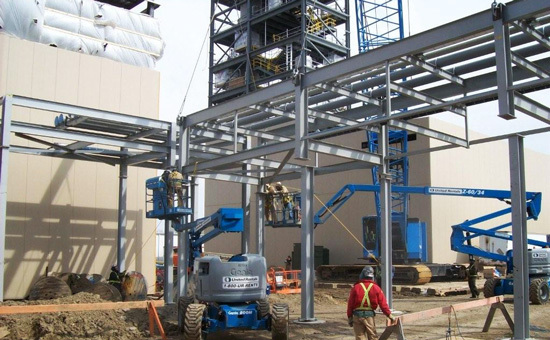 Piperack systems are designed to support any load/span combination, and they are fabricated in 40' shop welded sections. We offer in-house engineering and detailing services to customize to your needs, and our quick assembly results in low installation costs. Bent support structures to build to specifications.